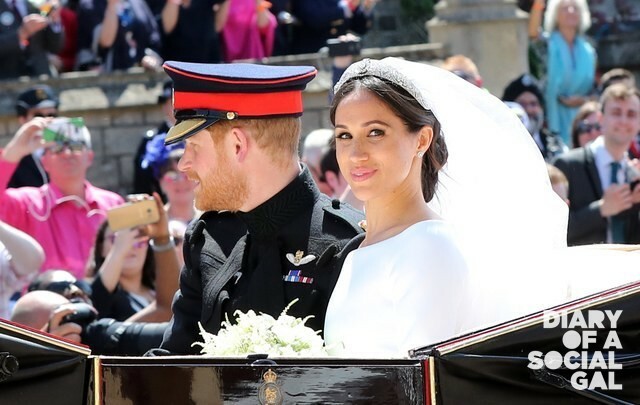 One of the clear takeaways from this past weekend’s fairytale royal nuptials is that weddings are being re-imagined in a very modern way, even at the uppermost echelons of wedding planning. Exhibit A: Royal weddings need no longer only adhere to strict tradition on the entertainment front but can incorporate new forms of religious expression and entertainment, as exemplified by the wonderful gospel choir that made such an impression on those present for the happy couple, as well as wedding watchers worldwide. Similarly, brides too need no longer be bound by restrictive makeup and beauty requirements, i.e. : heavier more elaborate makeup that’s usually the norm at big events like weddings. They’re now free to embrace a more personal style and aesthetic and project the image and look they’re most comfortable with on the big day. Which circles us back to Meghan, who, quite evidently, chose to exude her natural elegant style both on the fashion and beauty fronts. 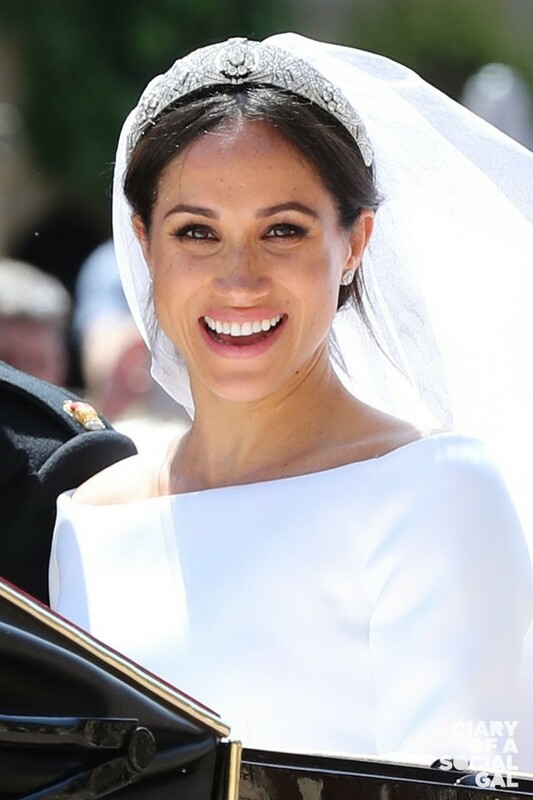 Stunning in a minimalist glam satin sheath by GIVENCHY, Meghan continued the same more discreet magic on the makeup front, brought to life by pal, pro makeup artist Daniel Martin (despite much pre-wedding talk of her doing her own makeup). NATURAL GLOW: Martin kept skin dewy and fresh, as is Meghan’s signature, with little foundation in place to camouflage her natural glow and adorable spray of freckles. SHINING EYES: While brows were neat and impeccably defined, Martin’s beautifully applied smoky shadow was light, as was liner, all with a view to allowing the star’s shiny brown eyes to be the main focus, well fortified, of course, by a flutter of thick lashes. CHEEKS: Given the excitement, it’s difficult to know if all the flush was natural or thanks to the deft hand of Martin, but one thing’s for sure: a soft pink on the apples of cheeks added a pop of girlish delight. LIPS: Finally, Martin used a peachy pale pink lip with a satin finish that not only complemented the neutral palette perfectly, but gave even more focus to the smitten bride’s dancing eyes.